There are more than 500 children in foster care in the Capital Region. They range in age from infants to young adults and come from a wide range of ethnicities and cultures. They are placed in foster care because, at least temporarily, they cannot live safely with their birth families. Foster parents take children into their homes to give them stability and love at a crucial time in their lives. 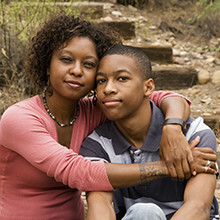 Some lose contact with friends and family because foster parenting is an all-consuming task. Former foster parents say they stopped fostering because they felt isolated and overwhelmed.